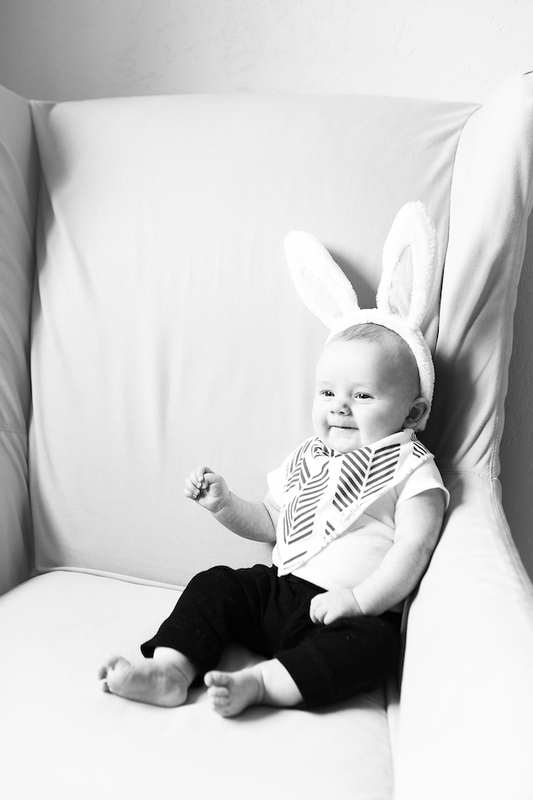 I couldn't pass up the opportunity to slap some bunny ears on my baby Bennett and do a mini photoshoot Easter afternoon. 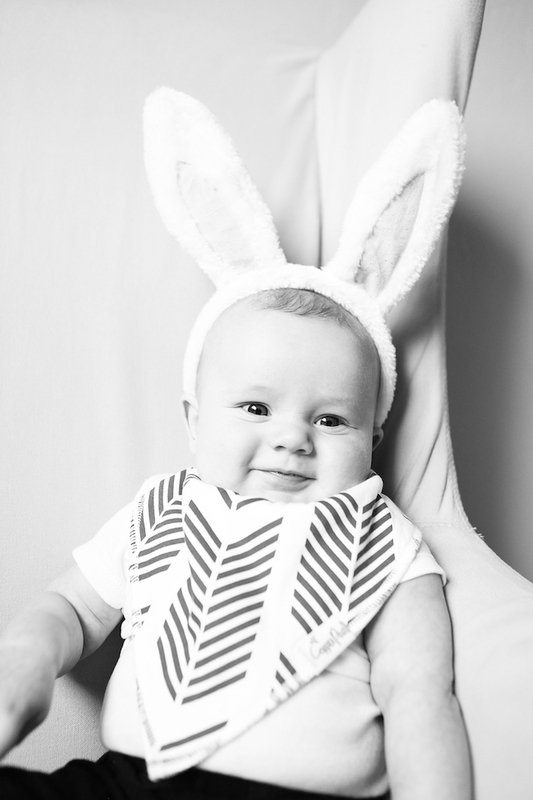 He is, after all, my last baby... and it was his first Easter. I have never seen a cuter baby bunny. Ever. I hope that he is just as cooperative in five years. 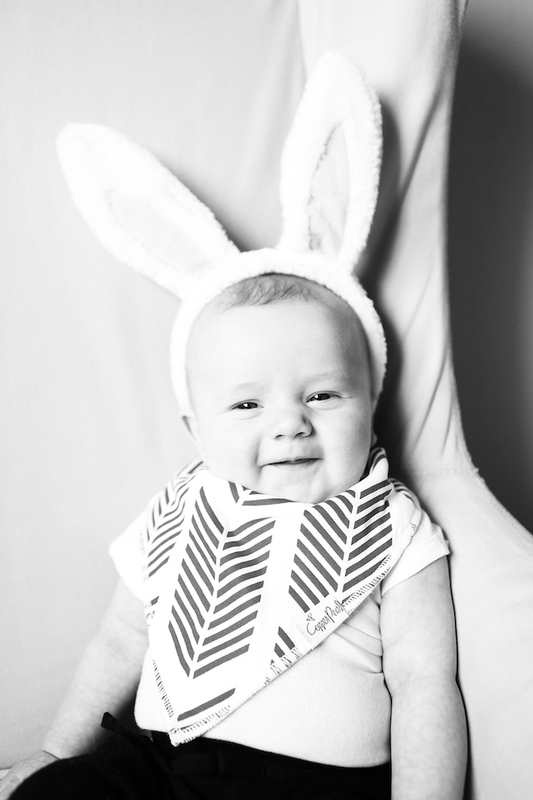 His smile is so much like Brody's. 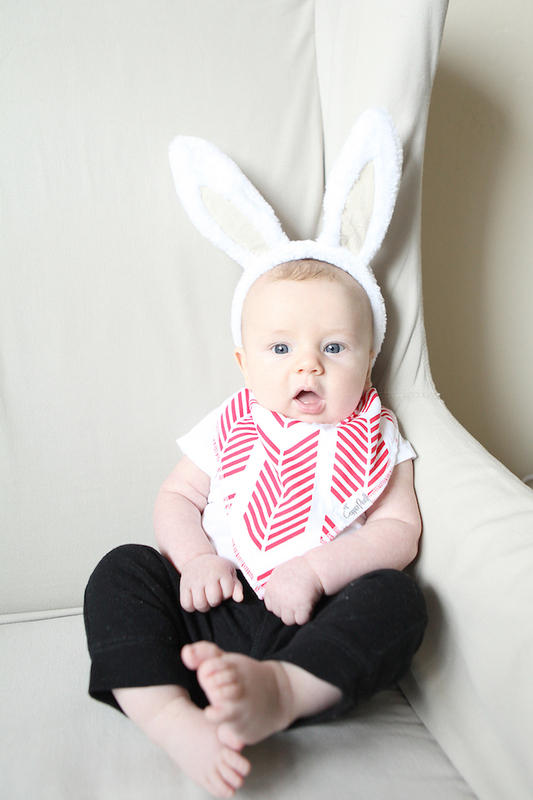 He's such a cute little bunny. He's absolutely adorable. 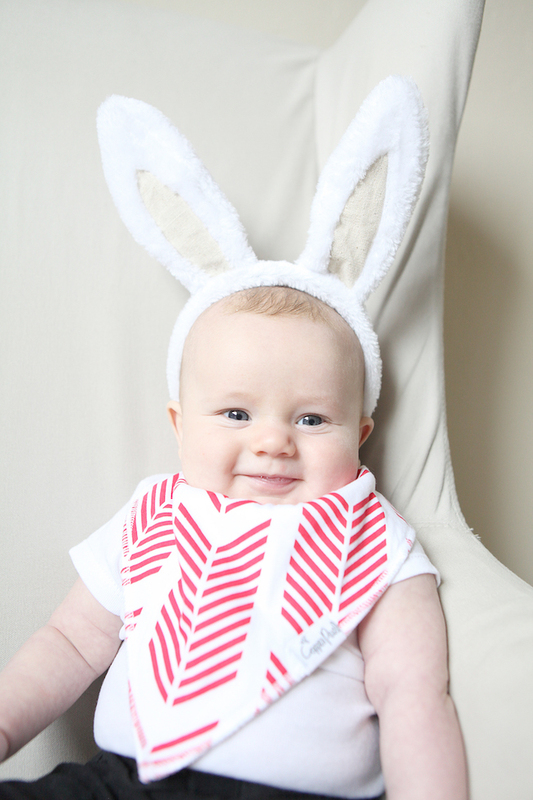 That's a cute bandana bib.